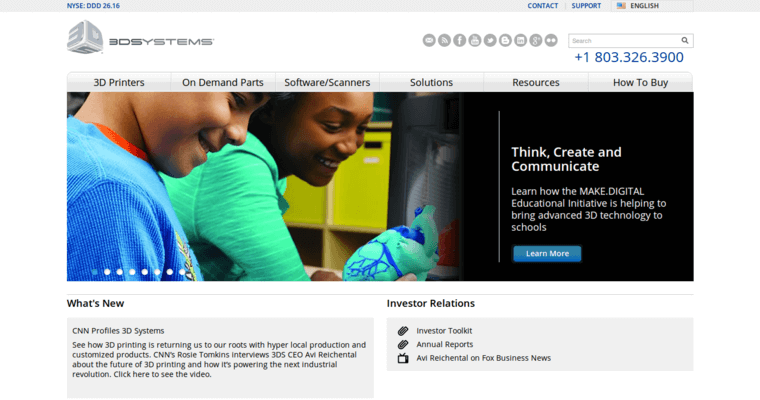 3D Systems is a company that specializes in innovative 3D printing solutions. They sell printers, parts, software, scanners and other products. They work with customers to create pretty much anything on a 3D printer using plastics, ceramics, metals and even edibles. Their 3D printers in particular have helped to set the standard in this emerging field. 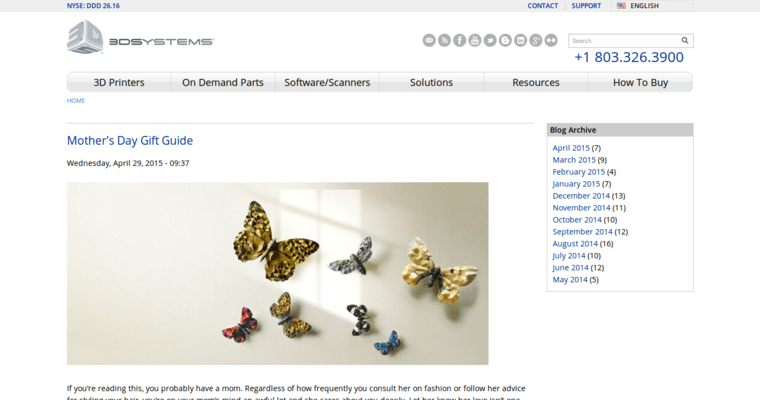 3D Systems can create custom parts, and the customer can go through the entire ordering process via the cloud. They can create parts for virtually any purpose in any industry. They sell medical products and specialize in creating medical simulations for training purposes. They create custom medical instruments used in surgeries that save lives. Moreover, their parts and products are created in an efficient process that emphasizes sustainability. Their corporate headquarters are in Rock Hill, South Carolina, USA, and they are able to do business with pretty much anyone in the world.